Let’s Talk Contraception: What Contraception Does Your Doctor Choose? Have you ever wondered what birth control method your health provider has chosen to use for her contraceptive? Though it is usually not relevant or ethical for your provider to disclose something so personal, you might find it helpful and reassuring to know this information when you are deciding which contraceptive is a good choice for you. Thanks to the Affordable Care Act, you might not have to worry about footing the bill for an IUD or implant yourself. New research by Planned Parenthood has some answers to this question. 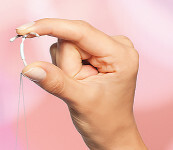 In a recent study published in Contraception, the official journal of the Association of Reproductive Health Professionals and the Society of Family Planning, Planned Parenthood researchers found that women’s health care providers are three-and-a-half times more likely to choose long-acting reversible contraceptives (LARCs) such as IUDs (intrauterine devices) and implants as their contraceptive of choice. Forty-two percent of providers use LARCs, compared to just 12 percent of women in the general population. The birth control pill is used far less often, by only 16 percent of providers surveyed. Earlier studies have also shown these differences, but the Planned Parenthood study shows an increasing trend of women health care providers choosing LARCs.